The Honda Element has been on the market for the good portion of a decade now, and time is finally beginning to take a toll on this utilitarian machine. Technology components need updating, as does the easy to wipe down, but difficult to look at, interior styling. The SC trim has a few tricks up its sleeve to combat aging, like a modified exterior design complete with 18-inch wheels and a lower ride height. 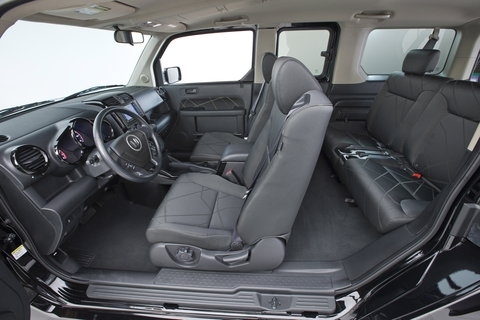 It also features a standard 270-watt audio system and carpeting throughout the passenger space instead of durable plastic. But because of these things, the SC doesn’t really stay true to the Element’s roots, which are all about providing a usable, functional vehicle with tons of cargo space and easy loading features. Great standards like the wide opening doors and clamshell tailgate are still on hand – a good thing indeed, but the gas mileage is poor compared to the competition and a $24,000 MSRP for the SC is unabashedly steep. For those looking for function and think the Element fits their needs, check out the EX trim, which starts at a much more reasonable $20,000. Functionality is clearly the name of the game and the Element scores major points for its fold-up rear seats and utilitarian features. The durability of the interior materials should hold up against the most rough and tumble of road warriors. The SC’s styling gives it more dimension and modernity than the other trims. For all its durability, the interior feels cheap – especially in a trim that is marketed toward a more stylish, discerning group. Visibility with the seats up in the back is severely compromised, and the rear seats will be too heavy to maneuver for some. Honda’s navigation system is getting long in the tooth and gas mileage isn’t competitive. 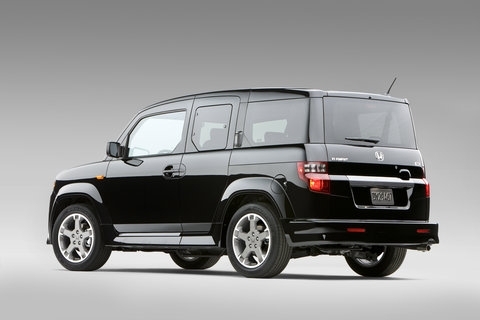 Clearly, Honda assumes Element buyers are more concerned about cargo space than performance, as the four-cylinder engine is overwhelmingly underpowered. 166 horses aren’t enough for a car that is used primarily to carry a variety of loads or four people. The cavernous space only seems to provide more area for the road noise to echo throughout and the driving position feels uncomfortably far away from the windshield. Ride comfort isn't exactly great either, and rough roads will send passengers' teeth chattering. However, it handles far better than a top-heavy car should in turns, managing to avoid carrying its weight into corners. Steering is direct as well, with a subdued amount of feedback coming through the wheel. A 2.4-liter inline four-cylinder i-VTEC engine powers the front wheels of the Element SC and produces 166 horsepower and 161 lb-ft of torque. A five-speed automatic transmission is standard. While the Element SC is missing key basics like auto headlights, it has some nice features perfect for the target audience. The four seats fold into 64 different combinations – though try to count them all – and the wide-opening doors swing to almost 90 degrees, allowing for full access to the front and rear areas. Standards include cruise control, an auxiliary input jack and a multitude of safety systems that earned the SC an IIHS Top Safety Pick. For some extra cash, you can get hold of Honda’s navigation system. It’s not a bad system and has some nice features, but signs of aging have begun to appear, like outdated graphics and surprisingly incorrect driving directions. The standard 270-watt, seven-speaker sound system sounds fantastic and includes a subwoofer. Bluetooth connectivity is available as an option. The Element returns 20 mpg city and 25 mpg highway, which isn’t bad for a car shaped like a Best Buy outlet. However, fuel economy could be improved if the car were outfitted with a more efficient transmission and engine. 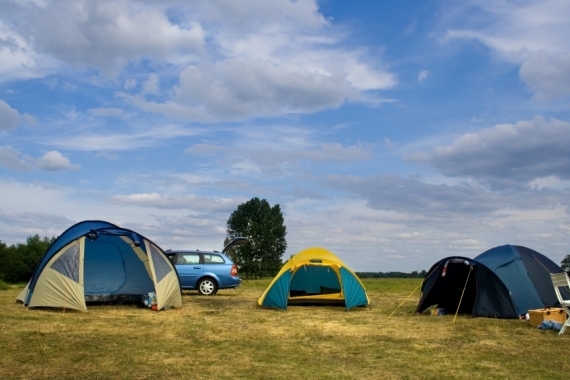 For this reason, the Element receives a LEV-II emissions rating. Unlike other Element trims, the SC has carpeting in the passenger area and exclusive printed seat fabric. It retains the uncluttered instrument panel, steering wheel controls and durable, hard plastics strewn across the cabin. There’s plenty of storage throughout the interior, but only four cup holders. The SC aims to attract a younger crowd with a modified grille and front bumper and standard 18-inch wheels. 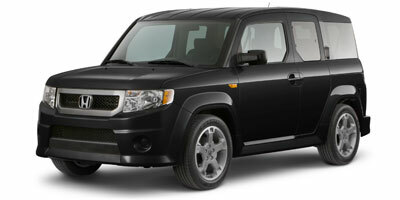 The modifications clean up the Element’s exterior look considerably, and a clamshell tailgate makes rear loading easy. At $24,320, the SC is the most expensive of the Element lineup, with the starting price of the 2WD LX coming in at $20,525. For a while the Element was nearly alone in its quirkiness – with only the $16,520 Scion xB matching its shape, but now it shares the segment with the $17,195 Kia Soul ! (Exclaim) and $20,120 Nissan Cube S Krom as well – and though they can beat the Element’s price, they can’t match it for versatility. For that, you’ll need to turn to something like the $20,295 Subaru Forester 2.5X, which also gets better gas mileage and AWD. 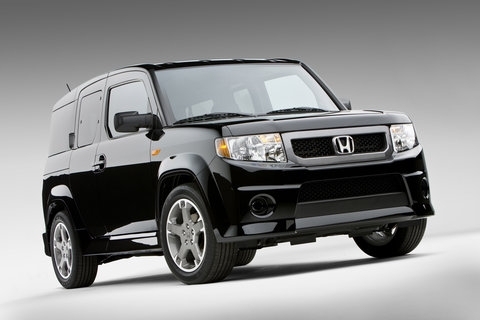 The Honda Element is truly getting long in the tooth; the drive isn’t refined and the interior could use some quality materials. Even the technology isn’t quite up to snuff. 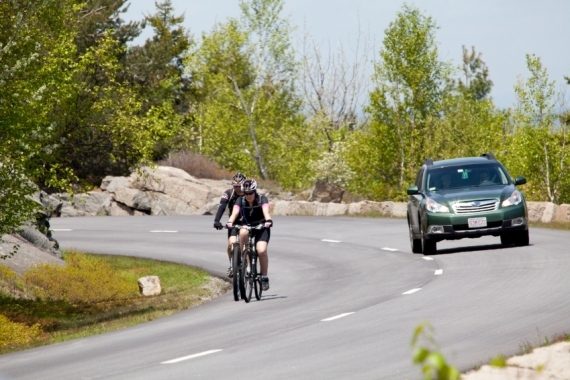 Not much of that matters though after a 100-mile bike ride or long week at work when you can throw the bikes or work supplies into the back with little fuss and plenty of ease. It’s less easy to do that with the SC, which trades function for some flair, and for that, the $24K price tag might not be worth it.